It's not uncommon for creative minds at studios to strike out on their own. With limited budgets and resources, companies are sometimes hesitant to take big risks on games that don't necessarily sound like a profitable idea. If the developer really believes that the game is special, he or she may take a chance and shoulder the responsibility of getting the game to the masses; James Montagna is one of these developers. 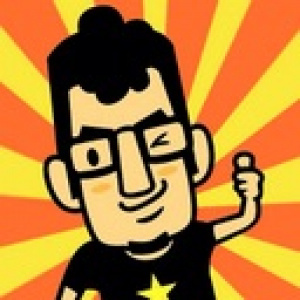 On Twitter this weekend, Montagna said that he has a solo project incoming for the Wii U. As of right now, the details of this game are a complete mystery, but he said that a formal announcement is coming soon. Montagna has certainly proved that he has the design and directorial chops to make this something to keep an eye on, as he had a hand in the creation of games such as Contra 4, A Boy and His Blob and - most recently - Shantae and the Pirate's Curse. We'll keep you updated as this unfolds further. Given James' track record in side scrolling action games, it would make sense that he'd play to his strengths for a new solo game, though on the contrary he may decide to explore new ideas. Are you a fan of James' previous work? What do you think the new game will be like? Here's to hoping it's something exciting. Oh, sounds very interesting! I'm intrigued! Would love something Contra-esque. I kind of hope it won't be a side-scroller, there are too many of those already. But it seems like the safest bet to make on the Wii U. @argh4430 There are never too many side-scrollers! If it's similar to the quality of the 3 titles mentioned in the article, I'll have a looksie. Good on him. Will keep an eye out for updates on this. As a person adverse to risk, I applaud this choice. Hopefully it works out, although, if it didn't he could go back to being a part of a team I guess. @argh4430 There is not that many that are very good at least that are on a current platform when it comes to run n gun. Awesome. If he's bringing his game to just the Wii U, perhaps he should pitch his idea to Nintendo to see what backing he could get from them, if any. 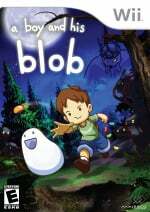 A Boy and His Blob was one of my favorite games on the Wii. If he was responsible for it, then I'll have to keep my eye on his solo project. That drawing looks like something out of Rhythm Heaven. Looking (way)forward to the unveiling. I can't say I'm a fan of him alone, since he was working together with others - but I'm a HUGE WayForward fan, so I'm looking forward to what Mr. Montagna will serve us one day! Remember when those at WayForward said they were interested in an MLP game? Doubt this is it (since this is solo and not a group project), but you never know. The only question this article leaves me with is, "When are we getting Contra 5?" Who knows how it'll turn out, but if this anything like when Monolith left Square (but on a smaller scale) you can bet I'll grab it . I'd be more excited if WayForward's track record was a little less... Spotty. Be interesting to see what it is at least. sigh Contra 4 was a masterpiece. Too bad it is probably the last great Contra game.